How to prevent the offender warning popup to show? 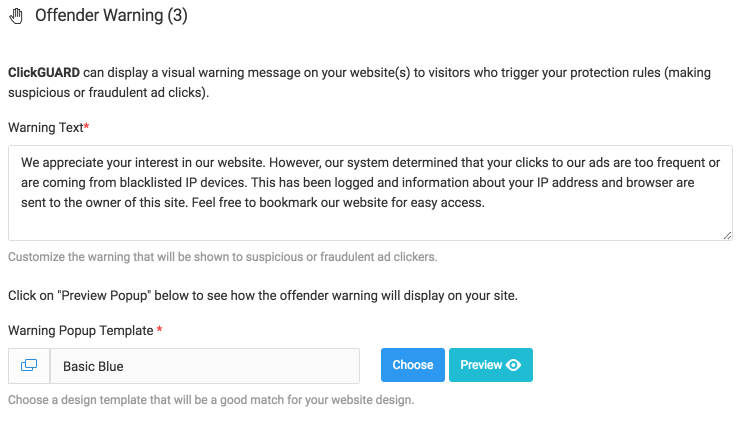 Offender warnings are never shown to your visitors by default. They need to be explicitly configured within your rules to run. The offender warning will be shown only if configured in a specific rule. Popup warnings are never configured by default.